MakerDAO is a decentralized autonomous organization which hopes to see a better global financial ecosystem. We strongly believe in fostering a worldwide cross-border community to make this a reality. In recent months, we have developed a stronger footprint in Asia which continues Maker’s efforts to expand globally. People around the world have access to Dai, a fully decentralized stablecoin which is backed by collateral. We will be sharing more on our efforts here. You may have already seen our team making appearances at events around the continent, read translations or localized content, and met some of our growing Asia-centric team. Today, we have some big news for MakerDAO in Korea: We’re thrilled to share that Maker is teaming up with GOPAX, one of Korea’s key exchanges. 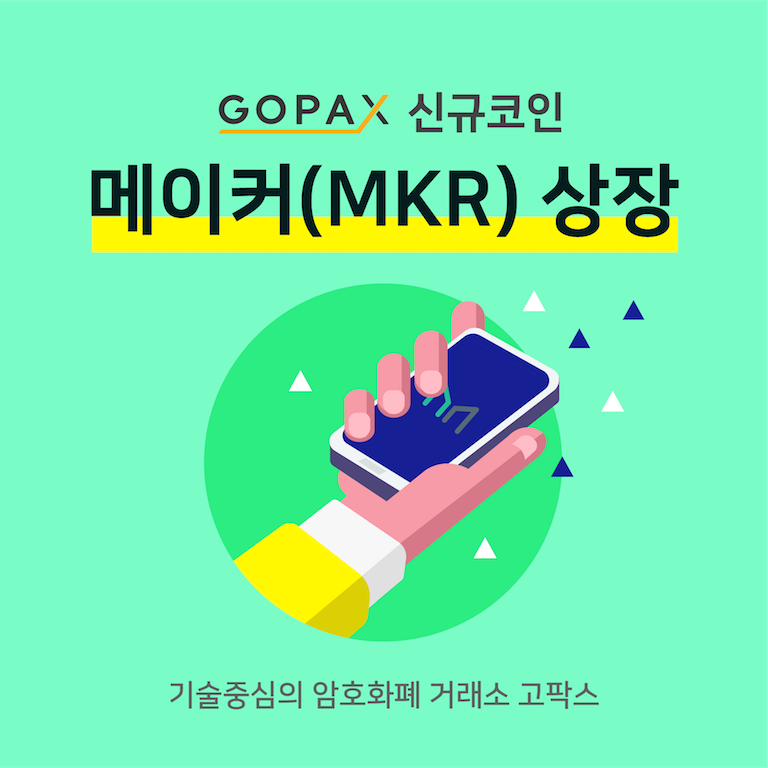 We’re excited to be working with the GOPAX team in Korea to help bring MKR and DAI to a broad audience. We are looking forward to the deeper integration with their platform. In particular, GOPAX has listed a MKR/KRW pairing, which marks an exciting start to our presence in Korea. Initially, Maker’s governance coin, MKR, will be paired with KRW, allowing for a fiat transfer for users. You can read more about MKR and it’s vital role in the Maker ecosystem here. Additionally, in the near future, GOPAX will be implementing Dai as a quote currency, so that Dai can be traded against all other tokens on the platform. GOPAX will be issuing Dai as a quote currency for pairs on their global exchange. Dai serves as a completely decentralized option for stability. Using Dai as a quote currency showcases a belief that the future of trading will no longer need fiat and centralized options. Without Dai, traders must either subject themselves to the volatility of the crypto markets or face the expensive and inefficient process of converting their crypto to fiat. In both cases, users are subject to avoidable risks and fees. DAI is gaining traction as a standard for stability across exchanges, both centralized and decentralized. As DAI provides for an entirely decentralized option for stability, it’s a natural fit for decentralized exchanges which offer a completely trustless setup. Fiat deposits come with significant counterparty risk, as was seen in the hacking of Mt. Gox, and the seizure of BTC-e funds. DAI does not have a central issuer, there is no custodianship over any assets, and it can be created without any intermediary on a decentralized, autonomous infrastructure without gatekeepers. Outside of these decentralized exchanges, you can also generate DAI by yourself on dai.makerdao.com. We believe in a future that leverages the power of decentralization for trustless transactions. With Maker, we are carrying out our vision of creating a decentralized stablecoin that will unlock unique benefits of a complete financial ecosystem on the blockchain. Maker is a smart contract platform on Ethereum that backs and stabilizes the value of Dai through a dynamic system of Collateralized Debt Positions (CDPs), autonomous feedback mechanisms, and appropriately incentivized external actors. It is a decentralized infrastructure without a central operator.